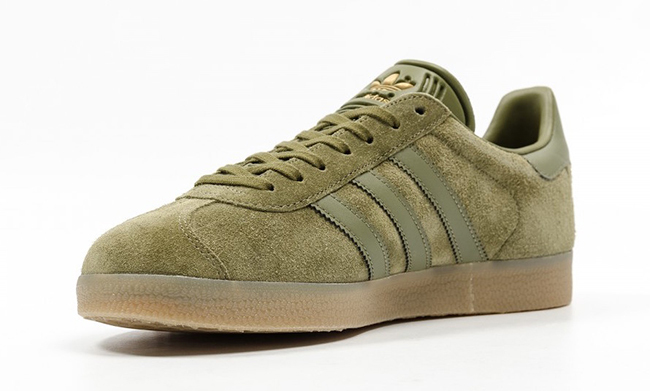 adidas Originals will make sure that you have plenty of colorways available of the adidas Gazelle. 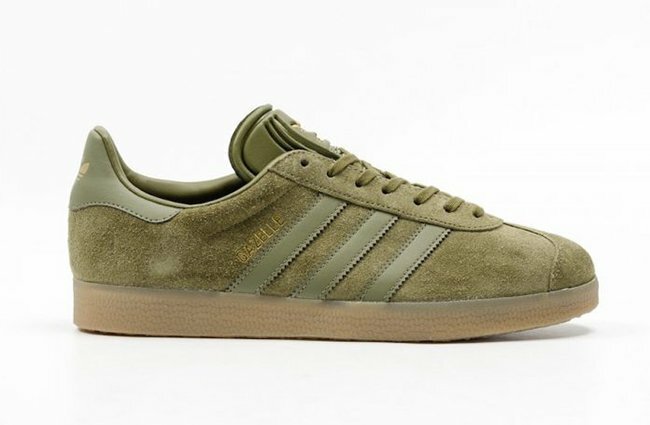 As the model is starting to fill up retail stores, the latest which is starting to release is the adidas Gazelle ‘Olive Cargo’. 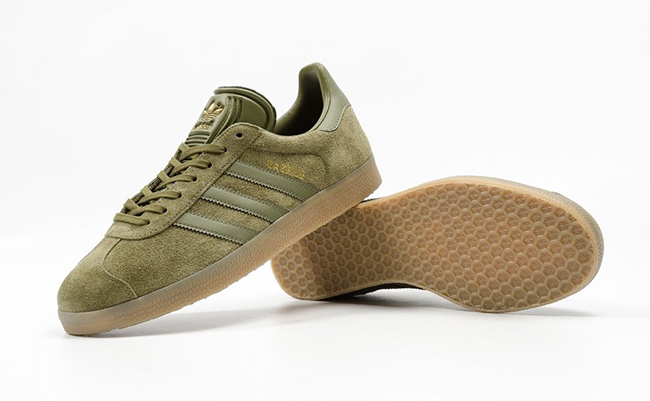 This adidas Gazelle features a full Olive Cargo takeover. 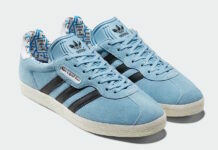 Across the base is the use of suede while leather lands on the Three Stripes branding, tongues and back heel. 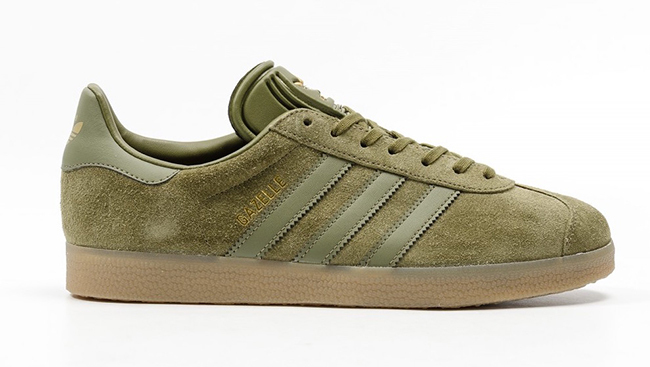 On the panels is Gazelle written in Gold for a luxurious look. 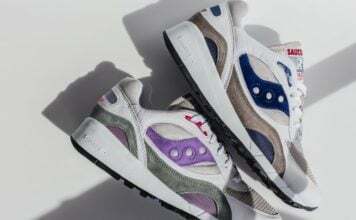 Completing this pair is Gum used across the midsole which extends across the outsole. 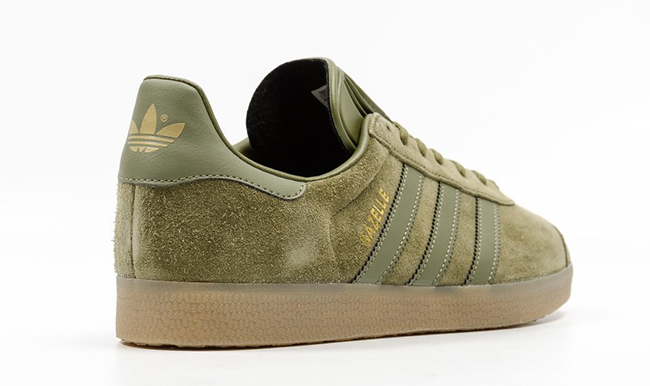 The adidas Gazelle Olive Cargo is now arriving at select adidas Originals retailers overseas which includes Foot District. 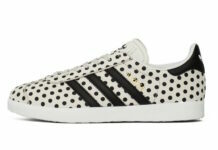 Retail price is set at €100 which comes out to be about $113 USD. At the time of writing, the store currently has a full size run available. Continue to scroll below to check out additional photos which will give you a detailed look.